The Lovett name has been associated with local property since 1975 when Terry Lovett became a junior property negotiator with a then respected local estate agent. With hundreds of house sales under his belt Terry and wife Sue decided to open their own estate agency, and in 1984 threw open the doors of the innovative Keys Estate Agents who quickly became market leaders and added a further eight branches right across Cambridgeshire by the end of the decade. After selling the estate agency to a major insurance company, Terry and Sue launched Lovett Sales & Lettings and began concentrating on growing the Lettings and Property Management side of the business. Back then letting agents were very low-profile, working out of small first floor offices and not opening at weekends. They therefore sought to raise the profile of Property Lettings, at the time considered ‘a bit down market,’ and applied the same principles used to sell properties: providing coloured rental property particulars; showing properties seven days a week; and featuring photos of rental properties in the local press (all unheard of in 1996!). Demand for rental properties has grown even more in recent times, and Lovett's moved to larger premises in 2005 - the handsome Georgian building in St Neots Market Square where they still offer their services today (below). Combining their Sales and Lettings operations under one roof, Lovett's remains family-owned today.Together with many long-term members of staff and son Tim Lovett the Team are very proud of their reputation for honesty, integrity, knowledge and experience which has been built over the past thirty-five years. We haven’t forgotten that we are a ‘people business’ either so there will always be a friendly staff member on hand to guide you through the exciting world of buying, selling or renting property. "From the professional photos to the use of a dashboard the entire service offered by Lovett Sales & Lettings was exceptional. 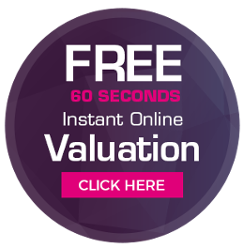 We used them several times over the years as they sold several properties for us and we also used them for managing our letting and we also received a friendly, competent and professional service. Thank you Tim, David & team."